The annual budget for the Transportation Security Administration (TSA) is a little shy of $8 billion. By government standards this is chicken feed. It is approximately 2000th of one percent of the overall federal budget. Yet it is still greater than the entire budgets of New Hampshire, Vermont, Alaska, South Dakota, Oklahoma, Mississippi, Idaho and Delaware. Just what are we who are footing the bill getting for our $8 billion? The TSA is supposed to be responsible for overseeing security for highways, railroads, buses, mass transit systems, pipelines and ports. However, the overwhelming majority of its budget and attention goes to airport/aviation security. The TSA is responsible for screening passengers and baggage at more than 450 U.S. airports. Therefore, it’s perfectly reasonable to expect that the more attention that is paid to one aspect of any given task would directly correlate with greater success. You would think so, but this the federal government we’re talking about…so, not so much. Homeland Security recently completed an internal investigation of the Transportation Security Administration (TSA) to see if they were performing proper airport security screenings. DHS Red teams were dispatched to various airports to attempt to smuggle banned substances through security checkpoints. These substances included mockups of bombs and other weapons, such as fake plastics explosives laden with ball bearings, pipe bombs and a fully assembled, scoped M-4 assault rifle. U.S. authorities deported fewer immigrants in fiscal year 2013 than at any time since President Obama took office, according to secret numbers obtained by the Center for Immigration Studies which suggest Mr. Obama’s non-deportation policies have hindered removals of illegal immigrants. Just 364,700 immigrants were removed in fiscal year 2013, according to internal numbers from U.S. Customs and Immigration Enforcement that CIS released Wednesday — down 11 percent from the nearly 410,000 who were deported in 2012. JEDDAH: The father of the 20-year-old Saudi student who was injured in the deadly Boston blasts has said his son was indeed questioned about the explosions but only as a routine procedure. Ali Alharbi, speaking to Saudi media on Wednesday, said his son Abdurrahman was just one of more than hundreds people of various nationalities who were questioned by investigators looking into the blasts that killed three people and injured more than 170 others. Abdurrahman was watching the Boston Marathon on April 16 when two bombs placed in trash bins exploded. He sustained injuries in the body. Another Saudi, identified as Noura Al-Ajaji, was said to have sustained a slight injury and was declared out of danger. On Wednesday, Alharbi tweeted on Abdurrahman’s Twitter account and said his son was now out of danger and is receiving excellent care at the hospital where he is confined. He also posted pictures for Abdurrahman, including one showing the student with the Saudi consul general in New York, Azzam Al Gain, during the official’s visit at the hospital room. Abdurrahman had been a hot topic among US media, with one article published by The New Yorker, titled The Saudi Marathon Man, questioning whether he was the victim of racial profiling. Reports have it that while Abdurrahman was in hospital being treated for his wounds, a “phalanx” of officers and agents and K9 unit searched his apartment. “What made them suspect him? He was running — so was everyone. The police reportedly thought he smelled like explosives; his wounds might have suggested why. He said something about thinking there would be a second bomb — as there was, and often is, to target responders. The article states that hundreds of people were questioned. That may be true, but the authorities snatched only Abdurrahman Ali Al Harbi. And only he was determined to be such a threat that a section 212, 3b was issued on him. So what is a section 212, 3b designation? The event file section 212, 3b designation was written into the Patriot Act. It is the highest terrorist watch list designation and is reserved for terrorists only, not just suspects or people of interest. It is so serious that the authorities, per the Patriot Act, must bring the suspect’s name and evidence for the designation before a government security panel for issuance of the 212, 3b. They must’ve found something on this young innocent. Remember, this all happened after his home was searched for upwards of nine hours. So we are supposed to believe that Homeland Security went to all this trouble to place a 212, 3b on him and that the event was simply revoked. As far as anyone or I can find – no one has ever been issued a 212, 3b designation on them and had that designation removed – unless they’re dead. Oh, and by the way; when the authorities went to issue the 212, 3b they found something odd. There was already another event file open on him. It may not have been a 212, 3b, but because of the process they have to go through, event files are not opened on innocent people. (unless they’re Christian or conservative. Just a little humor). So Al Harbi obtained a student visa to specifically attend school in Ohio but never attended. He made it to Boston and stayed. This is significant for two reasons. First, that he was allowed in this country or allowed to stay when he was already a person of interest. Second, and even scarier is that he is not the only one. 75,000 visas are issued to students from Muslim countries per year. Of those 75,000, 15,000 never show up at the school they are assigned. That’s 20%! Remember, it took only 19 to take down the twin towers and damaged the Pentagon. And we still don’t know where this young man is. Boston, Saudi Arabia, where? I was never much of a conspiracy buff. Those who believe there is a centralized power such as the Bilderbergs, controlling the world or secretly planning a one-world government, I thought to be kooks. Well, I’ve begun to rethink my position and may be completely wrong but it sure seems like it could be happening just that way. The feds know and have tried to put forth anti-gun legislation in both the House and Senate and gotten nowhere. To any progressive, this is unacceptable. It however, w ill not deter the Marxists from attempting to control and eventually take our guns. There is always a back door, either through regulation or other means. There’ve been many articles written about various departments of the federal government buying up billions of rounds of ammunition. Heck, I’ve published a few myself. The latest is the 1.6 billion-ammunition purchase by Homeland Security over the next 4 to 5 years. The feds call it “Strategic Sourcing Contracts” and it is said to get them a better price, which I’m sure it does. Odd that the purchasing contract directly coincides with Obama’s second term of four years. I’m just saying. Anyway, Homeland Security uses about 15 million rounds of ammo every year. Let’s do some quick math. 1.6 billion divided by 15 million equals a little more than 106. So Homeland wants to buy 106 years worth of ammo? That sounds reasonable. Now, I’m a gun owner. I don’t know about you but I’m finding it increasingly difficult to purchase ammunition. Going to any local gun shop is a joke. Their shelves look like Mother Hubbard’s cupboard. Online i sn’t much better. Everything is out of stock. How odd. Companies that produce ammunition must follow a pecking order of customers. Guess who is the head pecker, as it were? You got it; the federal government. What a great way to usurp gun control legislation. With the feds buying up all the ammo a lot of good your gun will be without it. Voilà; instant gun, or ammo control. Then there is Democrat Illinois representative, Luis Gutierrez. He is changing things up a bit. Instead of going after those scary and expensive “assault weapons”, he is proposing a ban on the production of inexpensive lower quality handguns, known to some as “Saturday night specials”. Now I haven’t seen the bill yet, but I can bet it is aimed directly at less expensive handguns, the kind that someone on a budget might only be able to afford; someone who doesn’t have $800-$1000 to spend for personal protection. I guess they’ll just have to call 911 and wait. It’s becoming apparent that one way or the other, the full spectrum of weapons will be covered. That’s the hardware portion of gun control. The software ban is in the conditioning of the population, or the collective. We are hearing stories virtually every day of one child after another being suspended or somehow reprimanded for the most ridiculously innocent things, from eating a Pop Tart into the shape of an “L” and pretending it’s a gun, or a picture of a gun or a cut up piece of paper that vaguely resembles one. From prekindergarten through college our children are being conditioned to have a completely illogical fear of guns. They are being taught that guns can’t protect or defend; they can only do harm. Children and adults alike are being conditioned and trained into believing it is wrong to fight back. We must cower and wait for the “First Responders” to come save us. Young women are being told that it is better to be raped than protect themselves with a gun. The brave high schooler that wrestled a gun away from another student gets suspended when he should receive a medal. See, he didn’t wait for “Capt. Planet”, the first responder to save the day. I was going to say Capt. America but that would be jingoistic. That young man took it upon himself and that just won’t do. I bet he’ll think twice before rescuing his fellow man and next time leave it to the professionals the way it is intended in the collective. Maybe that’s what Obama meant when in 2008 he said, “We cannot continue to rely on our military in order to achieve the national security objectives that we’ve set. We’ve got to have a civilian national security force that’s just as powerful, just as strong, just as well-funded.” Could it be that’s what Homeland needs those 1.6 billion rounds for? We are being assimilated into the progressive’s idea of a peaceful utopia. I for one will not succumb because I know it can’t be done. This attempt, if allowed to continue, like every other time before it, will end badly. Federal District Court Judge Reed O’Conner has ruled that 10 ICE agents and officers have standing to challenge in Federal court the so-called Morton Memo on prosecutorial discretion and the DREAM directive on deferred action. 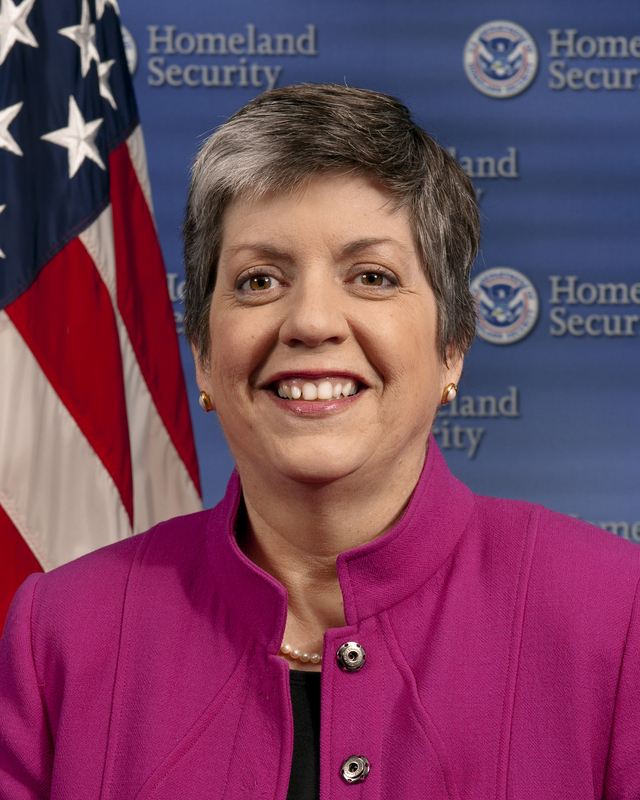 The agents filed their complaint in October, charging that unconstitutional and illegal directives from DHS Secretary Janet Napolitano and ICE Director John Morton order the agents to violate federal laws or face adverse employment actions. This is a major first step for the ICE agents in their case against the administration.In his 35-page decision, Judge O’Conner found that the ICE agents and officers have standing, but that the State of Mississippi does not. He has not yet ruled, however, on the agents’ motion for a preliminary injunction to halt implementation of the DHS directives. Even before that, though, ICE Director Morton essentially gutted immigration enforcement by issuing a memo on prosecutorial discretion that, in effect, prohibits ICE agents and officers from arresting or removing any but the most violent criminal aliens. Under Morton’s stated policy, most of the 12 million or so illegal aliens that the administration wants to legalize are currently safe from deportation. 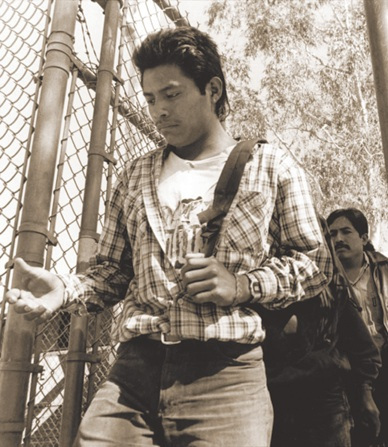 There are hundreds of thousands of aliens crossing the US border illegally every year. Less than half of them are ever detained and even fewer of the detainees are ever deported back to their home countries. Working under President Obama’s orders most illegal aliens are rewarded for their actions and released back into our society where they steal jobs, food and medical benefits from US citizens and often ruin neighborhoods and property values. Supposedly, the government concentrates mostly on illegals who already have a criminal record. (Doesn’t violating our immigration laws automatically classify them as a criminal?) 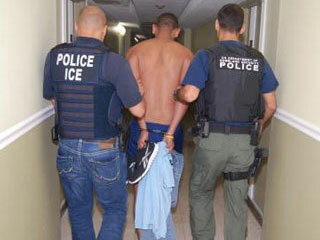 In the fiscal year of 2011, a total of 188,380 illegals with criminal records were deported. However, 86,699 of them had been previously deported at least once. That’s a return rate of 46%, which indicates that we have a complete failure to secure our borders from known criminal elements. Additionally, there were another 43,307 illegals without criminal records who had been previously deported and again illegally entered the US. Even though it is a crime to cross the US border illegally, none of the 43,307 are considered to have criminal records. Reports like this clearly indicate that the Department of Homeland Security is doing very little to secure our borders. Their cavalier attitude towards illegal immigration is a disgrace and an affront to most US citizens. If this many illegals are returning and many going completely undetected, then how many terrorists are also crossing into our country illegally? The US-Mexico border is an open door for anyone, including terrorists, to just walk right in to the country, where they can then carry out the planning and execution of their jihad activities. I’ve said it before and I’ll say it again. Bring our troops home from Iraq and Afghanistan and station them along the US-Mexico borders with orders to detain and shoot if necessary. Military patrols should be stationed in a line of sight with each other across the entire extent of the border. They should also be the ones to man and operate all border crossing stations. This would result in a drastic cut in the amount of illegal aliens and drugs that are currently flowing into the US across the Mexican border. It would also make it harder for terrorists to gain entry in to the country. I believe it’s a win-win answer to illegal immigration, drugs and keeping our military safe at home securing our borders instead of the borders of countries that hate us.